This year, the University of Iowa Dance Marathon sets out to make more miracles than ever before as they embark on their 25th year of dancing For The Kids. With years of record breaking and incredible milestones in their past, this year’s team is looking to make an impact on the future. UIDM supports the University of Iowa Stead Family Children’s Hospital and has more than 900 families involved in their event. Being For The Kids isn’t just what they do, it’s why they do it, and this year, it’s all about making an impact. 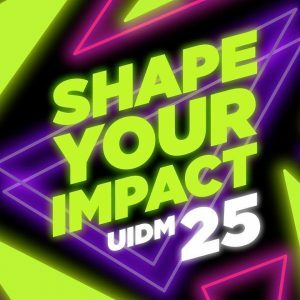 On September 13, 2018, the University of Iowa Dance Marathon launched their first ever year-long campaign titled, Shape Your Impact. Today, and every day, UIDM is making miracles happen for local kids and their families who are affected by pediatric cancer. In February of 2018, they raised $ 3,011,015, and in February 2019, they hope to raise even more by changing the way that their community, shapes their impact.